Covers.com has teamed up with the Sports Gab Network and Giants Gab to offer our unique perspectives — and to debate, for example, why the Giants not only win tonight – but cover their -3.5 spread against the Vikings. Josh Freeman has two major things going for him in this game. The first is the complete lack of tape the Giants have on this guy playing in purple. Sure, they can pull up quite a bit of him as a Buccaneer, but he’s not going to be playing anywhere near the same scheme. While the Bucs were asking him to throw nothing but jump balls, the Vikings bread and butter is the short pass. The second bonus is his self-proclaimed “chip on the shoulder”, which I legitimately believe he has. Players with that extra motivation often go to the next level. Having to deal with Musgrave’s boneheaded offensive coordinating and having to make up for one of the worst defenses in the NFL may start to numb Freeman’s chip, but once again that won’t be an issue yet come Monday. 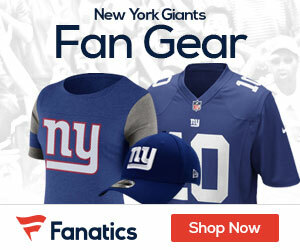 The Giants are coming off their best effort running the football all year against the Bears, and Brandon Jacobs had his best game since facing the Dallas Cowboys in 2011. One of the main reasons for that was the Chicago’s porous run defense. The Viking defense is even worse in that regard, while the Giants have one of the top run defenses in the league. With Jacobs back in the swing of things in old New York, adding Peyton Hillis who signed this week, and with explosive rookie Michael Cox ready to pick up the slack, the Giants will out run Adrian Peterson and the Vikings and be in total control of the game from start to finish. Should be an interesting game to watch — check out Covers.com for more debate goodness.